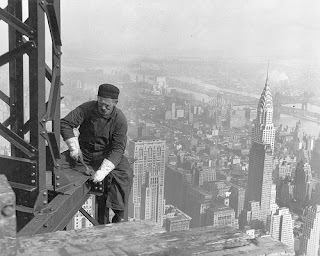 A worker building the Empire State Building in 1930 New York City. The Chrysler Building towers above the New York Cityscape but still well below what would become the world's tallest building for many years. For New York Travel check out our sections at Travel Highways and History, or click here for New York History. Oh, this is one of those historical pictures of NY city skyscrapers building. Very historical picture, I even remember my grandma was telling something about those times when the skyscrapers era only began, media began to actively write my paper today newspapers with the pictures on the front pages. Many individuals make a few inquiries how they can send validation messages like OTPs or confirmation codes at whatever point somebody enrolls a record on their site or application. The straightforward answer is that they have to interface their application with a SMS supplier utilizing a SMS API.